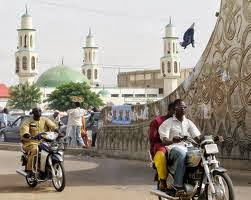 Dear NCblog readers I bring you greetings from Jos and Bauchi. I am sure you were wondering why the long absence, I apologize for my impromptu travel. Well I am back and equipped with plenty gist, but I will start by sharing my northern experience with you (go grab a seat and pop corn). My journey commenced from Abuja, made a stop over in Jos to finalize my assignment there (and being my fifth visit to the cold town in five years). please note that ever since the crisis started in the north I have been warned thoroughly never to go close. I want to first plead to all my Jos and Bauchi readers on the truth I shall speak here. Getting into Jos in the evening, it was cold as usual but with few people living in the capital city, most of the shops were vacant with owners desperately looking for tenants (apparently all my enterprising Ibo brothers has deserted the town), activities in the town was unusually slow, got into a chat with the owner of the restaurant I went to eat and my ears could not believe the tragic experience and hardship faced by these people. I wondered if Plateau had a state governor and if yes, where is he? is he living and governing Jos from Abuja or is he simply ignorant of the situation currently faced by his people. The state government buildings are what you find in the museum, more like a "before" picture of Jos in the '70s and not an"after" picture (the structures were in a very bad, old and deteriorating condition). 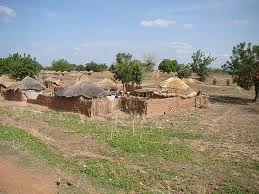 I was in total shock to see Jos I had visited not too long ago looking like Somalia- hunger, no shelter, no food (the crops I saw looked like the ground had been cursed from all the atrocities committed) I could not help but shed tears and say a prayer. Please Governor Jang, your people (both Christians and Muslims) are in desperate need of your help just like how you needed them during your elections. Make your last days count and let the people of Jos remember you with a smile on their face when you are gone. I was told you moved from your previous place of residence because it was attacked (Rayfield) to a safer place. I am so sure you can do something- The eyes of the infants have all turned yellow from diseases and infections. Jos can still be that small London I use to know in Nigeria aside from it being a cold city but also by providing and empowering people in their different areas of competence to generate funds and a means of livelihood. Its sad for me to say that I find Bauchi better than Jos in terms of infrastructures, well fed people and population. I enjoyed my short stay there but I did not feel a bit safe. The thing is, in the northern part of Nigeria you are not guaranteed safety. I noticed that they were peace loving people who will never steal from you. In summary, I kind of preferred Bauchi to Jos in a way, but I know Bauchi state governor can do better while Plateau state goes back to the drawing board and restructure what is left of it. There you have it, above all it was an experience I treasured so much because it made me appreciate God for life and my state governor ( Chief Rochas Okorocha) and her people.